Anyone age 60 or above interested in taking university classes can take advantage of a unique opportunity offered by University College at UL Lafayette. The UL Lafayette 60 plus program is making it easy and affordable for seniors to enroll in university courses on the main campus or at selected on-site locations in the community. Senior citizens can register for up to three hours of college credit at a rate of $6.75 per credit hour. For a standard three-hour course that amounts to $20.25 - a discount of more than $300. It’s the perfect opportunity to learn something new or enroll in a course that has always been of interest. Want to know more about other cultures? Then, “The History of World Religions” may be the course for you. Would you like to learn more about Louisiana Folklore? University College offers the right course. UL Lafayette 60 plus program also offers special sections of some courses at local senior centers. Currently, courses are offered in cooperation with Beau Sejour Estates in Carencro, Rose House in Lafayette, Green House in Lafayette, School Days Apartments in New Iberia, Senior Center in Coteau, Grace Presbyterian Church in Lafayette and Lafayette General Medical Center in Lafayette. Contact University College at (337) 482-6729 with any questions or if you need assistance with your application or course selection. 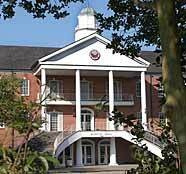 Visit University College on the web at http://universitycollege.louisiana.edu/.